Our digital signage consulting team can help you decide the best options and create a pilot program to roll out your digital signage solution. If you’re looking to start out with a pilot program or leverage some customisations for your Signbox Microsystems software, our digital signage consulting team can help you decide the best options and create a plan to roll out your digital signage solution. Pre-sales digital signage consulting services give the upfront support you need to make sure that your big plans for your DOOH network turn into reality. Remember, we have been pioneering the digital signage industry since 2004, so we have a vast wealth of experience and knowledge in this arena. We are more than willing to help and advise you on your path to deploying digital signage, whether it be for a small project, or a multi-location networked solution. 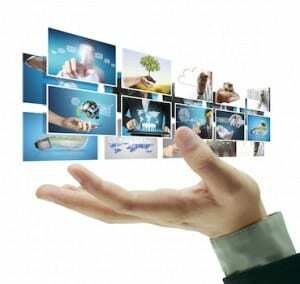 We find that many of our customers turn to generalist AV integrators or IT consultants for their digital signage needs. Unfortunately, these providers may only come across digital signage infrequently, so they may not be across all the latest developments. Our digital signage consulting time ONLY works on digital signage projects, so they are fully focused and have all the most current information. Customised consulting program to fit with your needs and budget. Leverage our technology partnerships with the industry’s leading manufacturers to design and deploy a state-of-the-art DOOH deployment at a competitive price. Viewership studies using advanced facial recognition and audience measurement to determine the best locations for your digital signage.